This coffee will be fresh roasted for you. We expect Augies Coffee House will roast and ship this coffee in 1-2 business days depending on their roasting schedule. This is the Guatemala El Panal brought to you by Augies Coffee House. Grown by Jorge Mendez in the San Pedro Necta region at 1,600 meters, this fully washed coffee is a perfect example of why we love coffees from Guatemala. 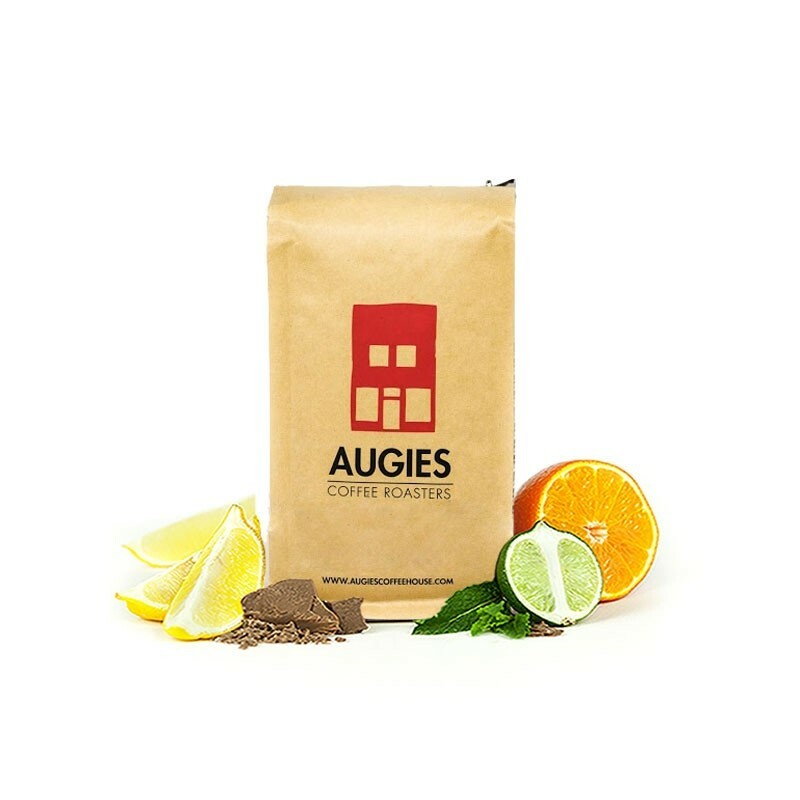 This is the third harvest that Augies has purchased Jorge's coffee and for good reason, the cup has notes of Mandarin orange acidity balanced by rich and sweet notes of malted chocolate, cane sugar, cashew and cola.